Mermaid skins - are a collection that will help you to find thetopminecraft skins with a tail. Diversify your gameplay byinstallingfree mermaid skins for MCPE and hit all the players inmultiplayermode. If you are looking for where to download themermaid skin -this application is for you! Mermaid Skins forMinecraft is a greatsolution for players who want to conquer thewaters of minecraft.Choose from a thousand free skins your uniqueimage in the style ofa mermaid skin with a tail and impresseveryone with its beauty.You can apply skins on your mobile device,tablet, PC. ►Application Benefits - Convenient search by category -Support forMinecraft 1.8+ - Scrolling skin in 3D mode - Importmermaid skininto the game - Export skins to the gallery - Addingskins toFavorites Leave suggestions in the comments what changesyou wouldlike in the application and we will implement them in thenearfuture. 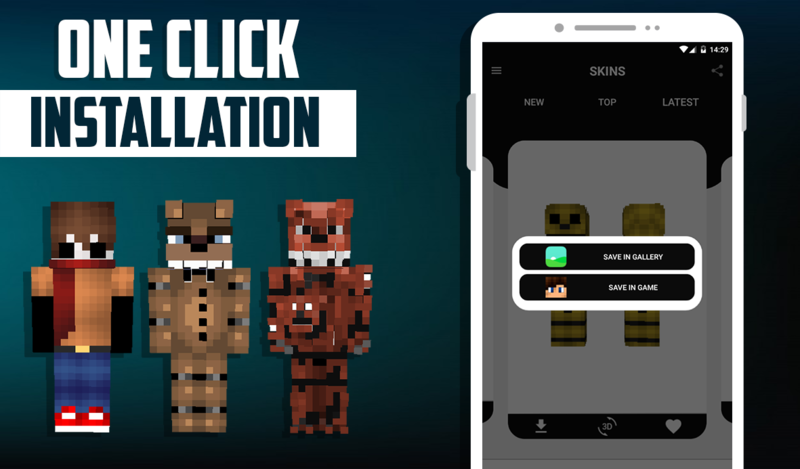 To use the application requires an internet connection.Theapplication is not an official Mojang AB application. Allrightsreserved. Enjoy using! 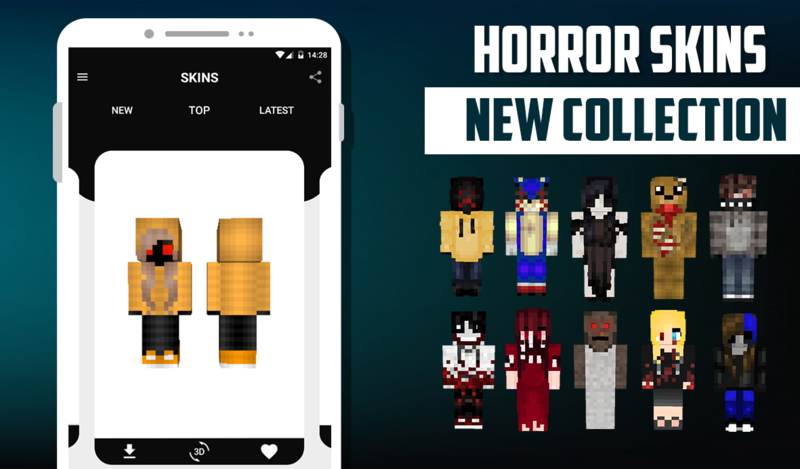 Zombie Skins is a collection that will help you choose the topskinfor Minecraft in horror style. Diversify your gameplaybyinstalling free zombie skins for MCPE and amaze all playersinmultiplayer mode. This app is not a game, it's just a skinpackforMinecraft Pocket Edition. Zombie skins for Minecraft is agreatsolution for those who are looking for an image for a partyorgathering. Choose from thousands of free skins your uniqueandmemorable style that can be used on your mobile device, tablet,PC.►The benefits of the app - Easy search by category -SupportMinecraft 1.8+ - Scrolling the skin in 3D mode - Importzombie skininto the game - Export of skins to the gallery - Addskins to yourfavourites Leave your suggestions in the comments whatchanges youwould like in the application and we will implement themin thenear future. To use the application requires anInternetconnection. The app is not an official Mojang AB app. Allrightsreserved. Enjoy your use! Homeless Skins – is a collection that will help you choose thetopMinecraft skin in the vagrants style. Diversify your gameplaybyinstalling free homeless skins for MCPE and hit all the playersinmultiplayer fashion. Download Aid, Demaster, EugenBro skinsandmany other bloggers in the style of the homeless! Homelessskinsfor Minecraft is the perfect solution for players looking fortheway to a party or a gathering. 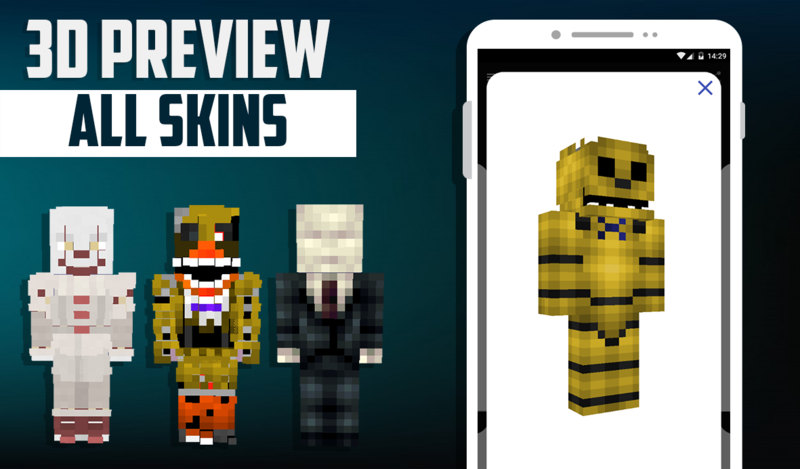 Choose from 300+ of freepopularskins skin in the bum style and strike everyone withhisresemblance to the popular letsplayer. You can apply skins onyourmobile device, tablet, PC. ►The benefits of the app - Easysearchby category - Support Minecraft 1.8+ - Scrolling the skin in3Dmode - Import homeless skin into the game - Export skins tothegallery - Add skins to your favourites Leave your suggestionsinthe comments what changes you would like in the application andwewill implement them in the near future. To use theapplicationrequires an Internet connection. The app is not anofficial MojangAB app. All rights reserved. Enjoy your use!